Right now there are very limited housing options for older people without large financial resources. NZCCSS looks to a future where there are many different kinds of housing, rental or owned, with and without formal support services. Whether modifying their existing homes, moving to new retirement communities, flatting, home sharing, the possibilities are many but it is important that the options are affordable and that we start working on it now! Christian social service agencies are among the leaders in implementing new models of supported accommodation for older people in New Zealand. Over the past decade, while there has been much change but many gaps in affordable housing for older people remain. Helping older people to modify, renovate and maintain their existing homes has been the focus of major work in the Good Homes project that has produced useful tools and research information for all ages. In 2006 NZCCSS published a series of case studies of various models of supported independent accommodation (SIA): Rising to the Challenge: The Role of Christian Social Services in Matching Older Peoples Housing with Support Needs. 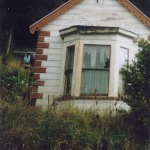 In 2006 Presbyterian Support Otago looked at the housing situations of older people Dunedin. The report ‘With My Boots On’ is full of useful insights for anyone interested in housing issues for older people.